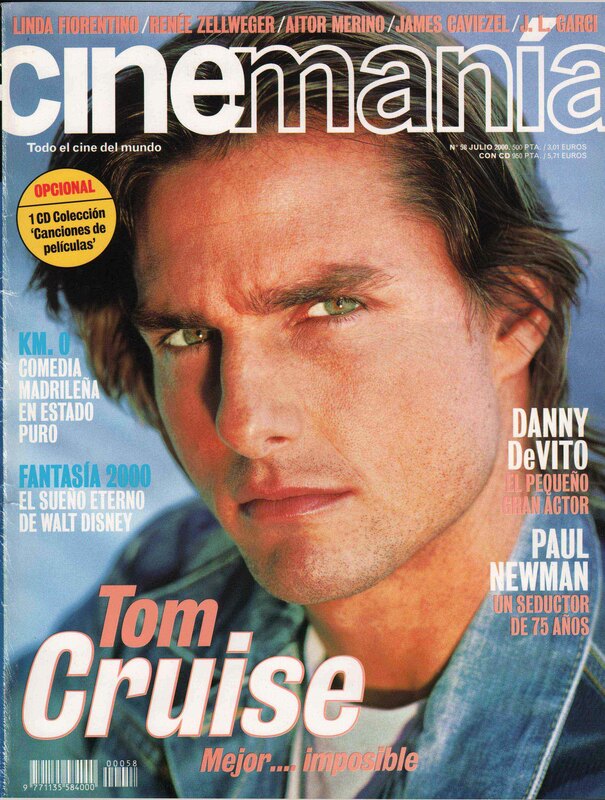 While attending the Mar Del Plata film festival in Argentina in 1996, a Spanish journalist introduced me to his friend, editor at the film monthly Cinemania, who needed a Hollywood Correspondent. 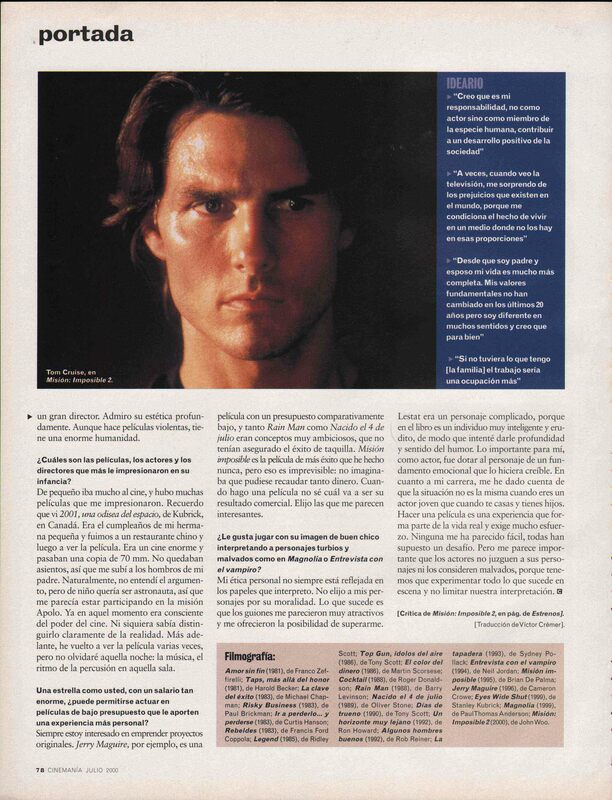 My first article, on Woody Allen about “Everyone Says I Love You”, was published in February 1997. 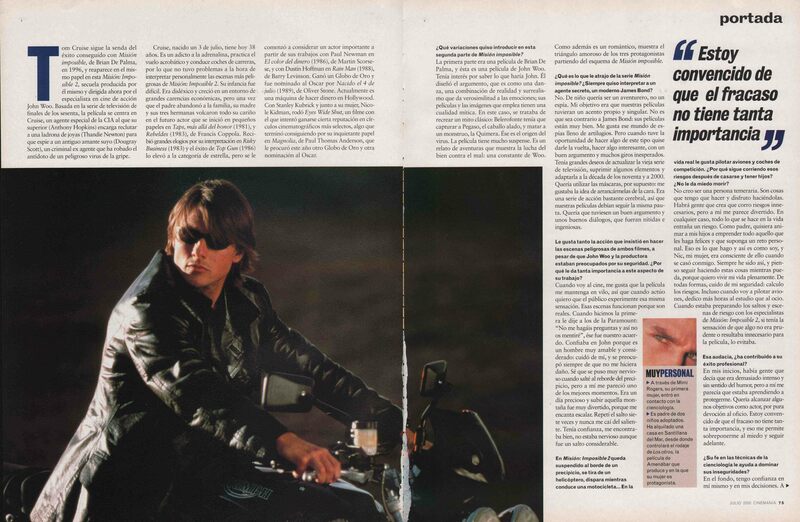 After a while, I was writing articles in nearly every issue, long career interviews that covered an actor or director’s entire filmography. 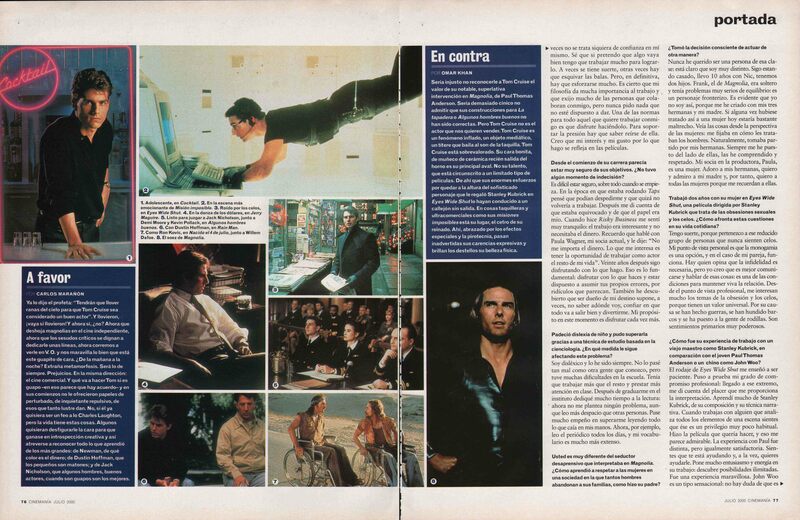 See below my cover story on Tom Cruise for “Mission Impossible 2”, in the July 2000 issue. 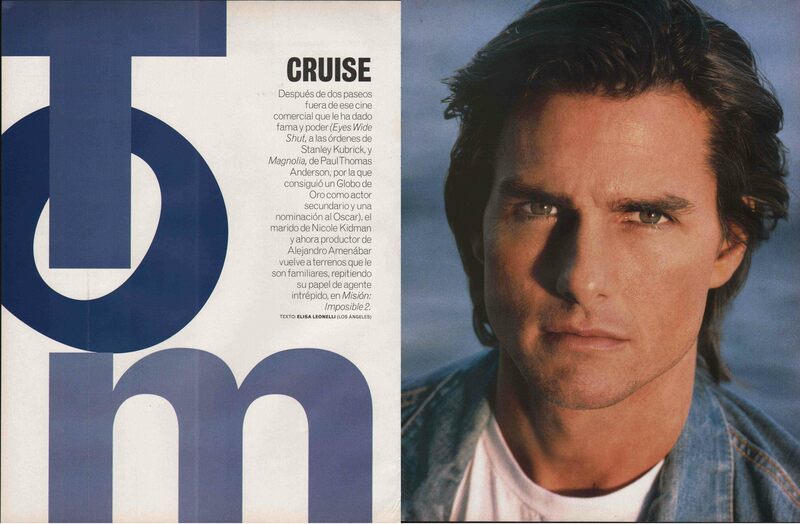 For more published articles go to CINEMANIA by Elisa Leonelli.